Silven Recruitment have partnered with Reaseheath College, the specialist education provider for food and drink talent in the North. Specialist recruiter Ryan Roberts and marketing manager Kerry Voellner spent a day at the Reaseheath College Careers Fair, speaking to the students and getting to know the staff. This trip is one of the first of a series planned with specialist colleges and universities across the UK, with a view to helping students gain an understanding of the broad range of career opportunities there are in the food and drink industries. Ryan Roberts says, “We were delighted to be asked to attend Reaseheath Careers Fair. It was interesting to see the facilities on-site and to see first-hand the types of courses and training that the college provides. “We believe that helping to promote careers in food and drink helps us to gain deeper industry knowledge of skillsets, but also helps us to build on future relationships with the talent that forms Alumni networks. 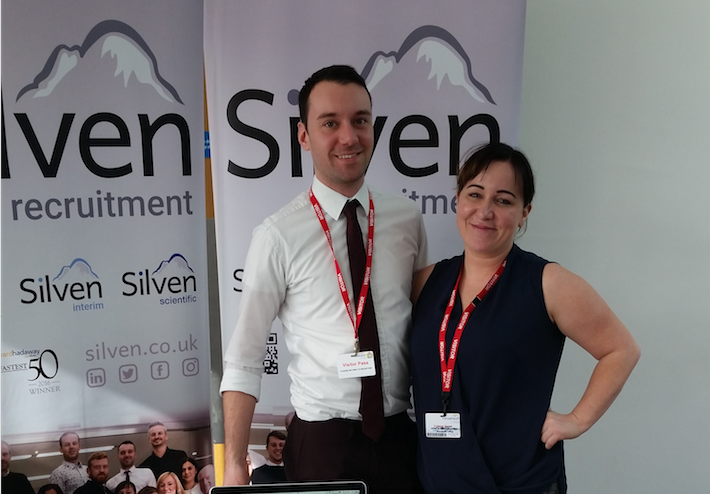 Emily Fisher, Commercial and Development Manager at Reaseheath College says, “Following on from Reaseheath’s successful Careers Fair, the college’s Food Centre is excited to be developing links with Silven Recruitment. Silven will be returning to Reaseheath in the summer to provide guest lectures to the students, focusing on new product development.